Epson has introduced two new Home Cinema projectors designed to deliver an immersive 4K experience to DIY home theaters. The Home Cinema 5050UB and wireless Home Cinema 5050UBe 4K PRO-UHD®2 projectors feature 2,600 lumens of equal color and white brightness3, HDR104, and Epson UltraBlack™ technology to display an incredible range of color and detail in both bright and dark scenes. Leveraging full 10-bit color output – plus proprietary dedicated processors for resolution enhancement, HDR and image processing – the new Home Cinema 4K PRO-UHD2 projectors display incredible color accuracy, brightness, and image detail to faithfully display content the way it was meant to be seen – on the big screen with bright, full color and stunning resolution. 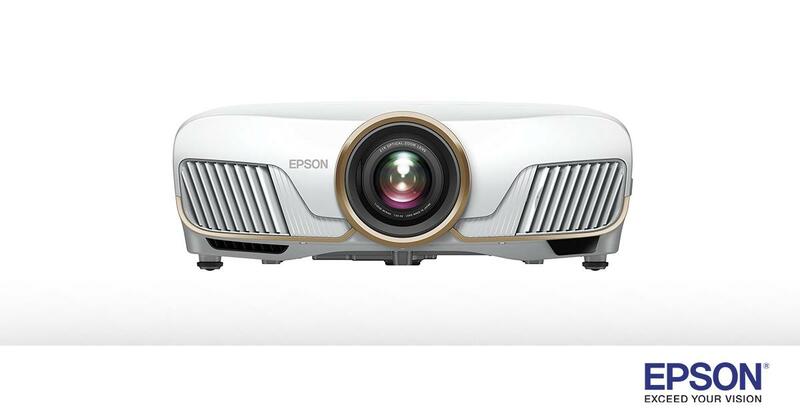 The Home Cinema 5050UB and 5050UBe are powered by Epson’s 4K PRO-UHD2resolution enhancement technology, an advanced, high performance optical engine that generates high color and white brightness, color accuracy, and dramatic contrast with HDR104. Epson’s latest projectors fully support 4K HDR content at a full 60Hz for outstanding display of the latest 4K HDR content and next-generation gaming hardware. Featuring a dynamic contrast ratio up to 1,000,000:1, a wide color gamut displaying the entire DCI-P3 color space5, and Epson’s proprietary 15-element glass projection lens, the latest Epson Home Cinema projectors offer an exceptional 4K experience to power any DIY home theater build.